REYNOLDSBURG, OH – Spring is in the air, meaning Raider Baseball has returned in 2019. To open up the new season on the evening of March 26th, 2019, Reynoldsburg and Newark squared off at the Raiders’ home field at Baldwin Road Junior High in a game that featured a little bit of everything for the Burg: strong pitching, huge at bats, big moments from the veterans, exceptional varsity debuts, and even some adversity along the way. But how the Raiders overcame that adversity on Opening Day will be huge going forward. Reynoldsburg (1-0) would jump out to an early 2-0 lead over Newark after three innings with five strikeouts by starting pitcher Brock Mason (W 1-0) in this span, but the Wildcats would answer with four runs in the 4th and 5th innings on five hits to put the Raiders down 4-2. With runners on first and second with no outs for the Raiders in the bottom of the 5th inning, Reynoldsburg senior Drew Hall would clear the bases with a game-tying two-RBI triple into the gap at right field. This would be the first of five runs for the Raiders in the 5th inning to put the home team up for good in an eventual 9-5 victory for Reynoldsburg. Hall would finish the game 2-for-3 with four RBIs to lead the Raiders along with a run of his own. And his performance was one of the many positives for Reynoldsburg on Opening Day even despite a few hiccups along the way, as it will be explained in the recap below. Hall would catch a foul ball on Mason’s first pitch of 2019 in the top of the first inning, and a strikeout by Mason along with a groundout to him at the mound would lead to a 1-2-3 first inning for the Raiders. In the bottom of the first inning, Reynoldsburg senior Ryan Grant would get hit by the first pitch thrown. While the next three Raiders batters would ultimately be retired, Grant would steal both second and third base, and would advance all the way home along the way on a wild pitch by Newark to put the Burg on the board first. Reynoldsburg would lead 1-0 after one inning as a result with one run, no hits, and no errors in the inning. Mason would retire all three Wildcats batters he faced in the inning, including on one strikeout. It was another quick inning for the Raiders on defense, as the Wildcats leadoff hitter would line out to Grant at center, while Mason would get back-to-back strikeouts, including a swinging one on a full-count pitch in the top of the second inning. In the bottom of the inning and with one out, Reynoldsburg junior Gavin Smith would get the first hit for the Raiders in 2019 with a base hit up the middle. He would steal second and advance to third on a groundout towards the other side of the infield by fellow junior Reece Crabtree. Bradley Thompson, one of six seniors on the Raiders’ 2019 roster, almost would beat out a ground ball and score Smith from third, but barely got beat on a throw to first to end the inning. Reynoldsburg would still lead 1-0 after two innings no runs, one hit, no errors, and one runner left on base in the inning. Mason would retire all three Wildcats batters he faced in the inning to make it six straight outs to open the game, and would have three total strikeouts at the conclusion of the 2nd inning. Make it two more strikeouts in as many Wildcats batters Mason faced to open up the 3rd inning. However, after eight of their batters being retired to open up the contest, the Wildcats would break up the perfect game with a base hit into center field. That brief momentum by Newark was short lived, as Reynoldsburg junior catcher Matt Wells would quickly fire a pitch from Mason towards Crabtree at second base, and the Raiders would successfully pick off the Wildcats runner stealing second for the third out. While the Wildcats would come up empty as a result, the Raiders would not. In the bottom of the third with two outs in as many at bats for the Raiders, Reynoldsburg sophomore and first-time varsity starter Corey Brafford would get his first hit by popping up an infield single into No man’s land, and he would score thanks an RBI-double by Hall on the Raiders’ next at-bat to extend Reynoldsburg’s lead to 2-0. That would be the only scoring for the Raiders of the inning, though they certainly had to be feeling good about themselves up by two especially given the way Mason has pitched up to that point. Reynoldsburg would lead 2-0 after three innings thanks to one run on two hits with no errors, and the Raiders left one runner left on base. Mason would allow his first hit of the game in the 3rd inning, but extended his strikeout total to five. Mason would get his sixth strikeout to open up the 4th inning, but Newark would finally answer with one out. The next Wildcats hitter would hit a ground ball that took an unfortunate bounce and roll that stopped just beyond home plate along the third base line, resulting in a single on what was Mason’s second hit allowed. A balk would advance that runner to second base, and the next Wildcats hitter would beat a throw by Hall at third for an infield single to put runners on first and second with one out. Newark would finally get on the board on the next at-bat with a line drive single into center to cut Reynoldsburg’s lead to 2-1, and with runners on first and third as a result, the Wildcats would smack a ball behind Reynoldsburg’s Kaleb Holland in left field to score one more run and tie the game at 2-2 with one out. Fortunately for the Raiders, the Wildcats runner tried to advance to third and got picked off for out number two, and Mason would get his seventh strikeout to get out of the inning and strand a Newark runner at second. On offense in the bottom of the 4th, Smith would get his second single in as many at-bats and steal second with one out. He would then steal third base after a strikeout by Crabtree and Thompson would draw a four-pitch walk to put runners on first and third for the Raiders, but Holland would ground out to second base to end the inning with the game still tied. Reynoldsburg and Newark would be tied 2-2 after four innings with no runs, one hit, and no errors with the Raiders leaving two runners on base. Mason would end up with five total hits and two total runs allowed while striking out seven total Wildcats batters after four innings (4 H, 2 R, 2 K alone in the 4th). A fielding error by the Raiders would put the go-ahead run on first base for Newark to open up the 5th inning, but Mason would strike out his eighth and final Wildcats batter on a full-count pitch. He would have two outs to work with after a groundout to Hall at third advanced the initial runner with the game tied at 2-2. Then the Wildcats would capitalize on the early error. Newark would hit a line drive towards a diving Holland at left field, but he would just miss making the catch on what ended up being a go-ahead RBI double by Newark. With the Wildcats up 3-2, a high pop up would be dropped at center by Grant to score a run for Newark before the hitter would be picked off at second for the final out. As a result, the Wildcats would extend their lead to 4-2 over Reynoldsburg, and the Raiders appeared to be in trouble. 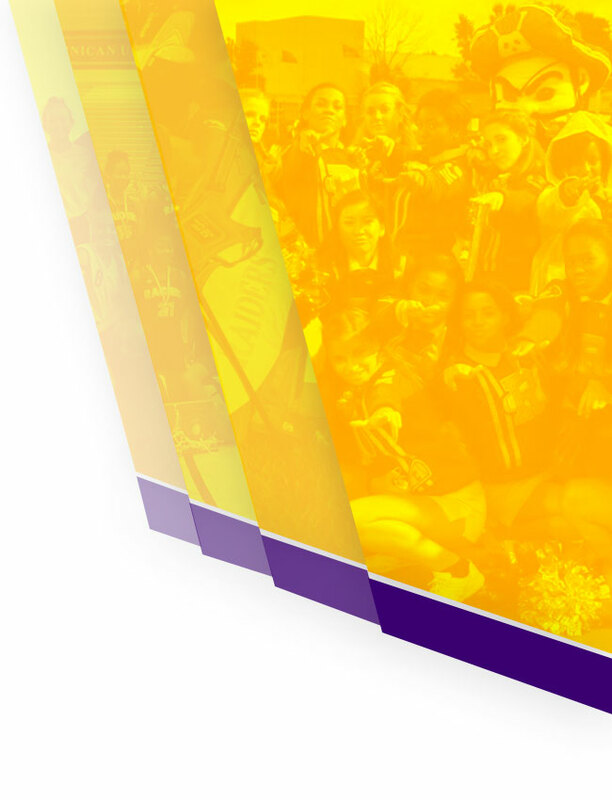 However, Reynoldsburg did not panic and quickly bounced back. With Grant being hit by a pitch to start the bottom of the 5th inning, the Wildcats would change pitchers. But the Raiders would quickly adjust, with Brafford getting hit by a pitch to put runners on first and second with nobody out. Hall would then come up to the plate and fall behind 0-2 on the count, but with two strikes, he would smack a clutch 2-RBI double to score Grant and Brafford and tie the game at 4-4 with nobody out. Even though the ball that flew off of Hall’s bat came up just short of flying over the fence, the Raiders would find their way back on top moments later anyways. Mason would follow suit with an RBI single into left field to score Hall and put the Raiders in front 5-4. This would be Mason’s final inning of what ended up being excellent work on the mound, as he would finish with four runs and six hits allowed with eight strikeouts after five innings pitched prior to scoring the go-ahead run on offense. After a throwing error would result in Reynoldsburg senior Mike Tooker being safe at first and with runners eventually advancing to second and third, Smith would come back up to the plate for his third and final at bat. While he would ground out, Smith would score Mason to extend Reynoldsburg’s lead to 6-4 with one out to cap off a 2-for-3 performance at the plate with two steals and an RBI in his first career start. Crabtree would ground out in the next Raiders at-bat, but would score Tooker in what ended up being his first RBI of the season to extend Reynoldsburg’s lead to 7-4. Thompson would then strike out to end the inning, but the damage by the Raiders was certainly done as a result of a five-run 5th inning. To open the 6th inning, Tooker would come to the mound for Reynoldsburg in relief of Mason. A pair of infield errors by the Raiders in back-to-back Newark at-bats would eventually lead to a run for the visiting team and cut Reynoldsburg’s lead to 7-5 with nobody out. Despite putting two more runners on first and second base with two outs, Tooker would get a huge strikeout to strand both runners for the final out and keep Reynoldsburg’s lead at two runs. In the bottom of the 6th, Grant and Brafford would secure back-to-back hits with one out and eventually advance to second and third base. While Hall would ground out to the mound for the second out, he would cap off his impressive Opening Day with an RBI to score Grant from third base and extend Reynoldsburg’s lead to 8-5 with one out. Mason would then continue to ride the momentum from his successful day on the mound to the plate, as he would get an RBI single to score Brafford and extend Reynoldsburg’s lead to 9-5 to put Newark in a hole that they could not get out of. This would particularly put the finishing touches on a strong varsity debut at the plate for Brafford, who would finish the game 2-for-3 with three runs. With the Raiders up by four runs at home, three outs was all the Raiders needed to close out the game, and they got just that in a clean 1-2-3 inning to end the game on a strong note. With a strikeout in the inning by Tooker, he would finish the game allowing only one walk and one hit to go with two strikeouts and no runs allowed. The Opening Day win by a score of 9-5 over Newark would give the Raiders a 1-0 record to start the 2019 season. An early win like this will certainly bode well for this close group of Reynoldsburg players with two-thirds of the previous season’s roster returning in 2019, giving the Raiders a lot of experience playing with each other to build upon. The Raiders are coming off an 8-18 overall record in 2018 and went winless against what was a loaded OCC-Ohio division that saw three division foes seeded in the Top 10 of last year’s Central Ohio Regional postseason bracket. However, the Raiders’ 2018 record is extremely misleading, as Reynoldsburg lost a lot of extremely close contests, particularly in what ended up being their 15 division games in the regular season. But those close losses, including in the Raiders’ final five games of the regular season in as many weekdays against the OCC-Ohio gauntlet, would end up preparing the Raiders well for the games that mattered the most. 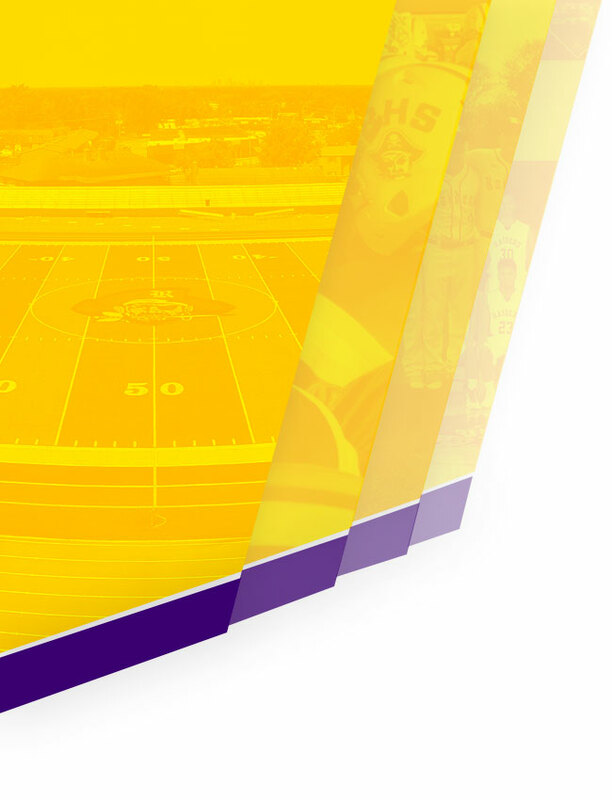 As the #32-seed in Central Ohio in the 2018 postseason, Reynoldsburg would upset #18-seeded Mount Vernon on the road in the opening round of the playoffs. This marked the second-straight season that the Raiders pulled off a road upset in their playoff opener and as an underdog nonetheless in terms of seeding. The Raiders also came away with an upset win at Olentangy Liberty in the first round of the playoffs in 2017. Fun fact? That loss by Olentangy Liberty is still its most recent loss in the postseason to this day, as the Patriots would roll to the #1-seed in Central Ohio in 2018 and win the state championship. The Raiders would end their 2018 season after losing a close 4-2 contest at #16-seeded Marysville on May 9th, 2018 in the second round of the postseason. But the focus in Reynoldsburg’s offseason as a result of the team’s increased confidence and experience, particularly with over two thirds of the 2018 roster returning from last season and six starters from that postseason run, was to further improve the team chemistry, physicality, and mental toughness especially when in games when the Raiders may have to play from behind to come out on top with a win. What ended up being those two first-time varsity starters in 2019 came up huge for Reynoldsburg on Tuesday evening. As mentioned in the above game recap, Reynoldsburg junior Gavin Smith went 2-for-3 with an RBI and two steals in his varsity debut, while sophomore Corey Brafford, the only underclassman on this year’s varsity roster, also went 2-for-3 and scored three runs. Even despite the four fielding errors the Raiders had that led to some key runs for Newark to open up 2019, Reynoldsburg found a way to bounce back late, respond, and come away with a hard-fought win. But as Mason and Tooker combined for ten strikeouts on the mound and only allowed a grand total of one walk against Newark, Reynoldsburg definitely showed its strong potential in the pitching department that will most certainly alone keep the Raiders in any game no matter what mistakes may be made along the way. The Raiders (1-0) will take on Whitehall this evening (Thursday 3/28/2019) in the Burg. This game was originally scheduled for the weekend, but got moved up to Thursday evening due to the forecasted rain. First pitch against the Rams will be at 5:00pm tonight at Baldwin Road Junior High. 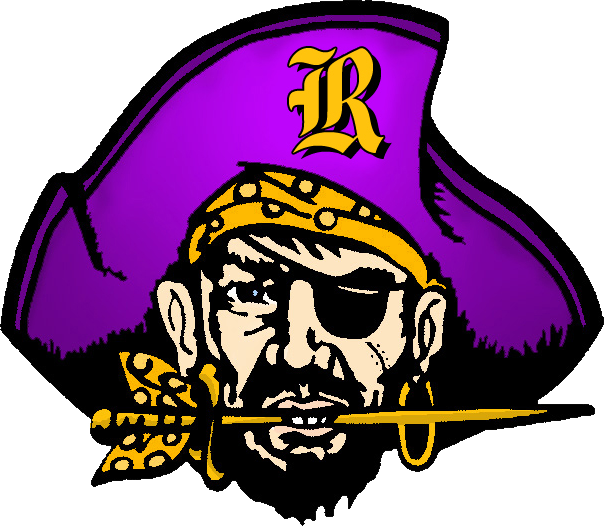 Follow @RBurgBaseball on Twitter for play-by-play updates during game days and all things related to Reynoldsburg Raider Baseball.